The Congress was leading in 64 seats, well above the magic figure of 46, while the ruling BJP was a distant second at 18 in the 90-member assembly, according to the Election Commission website. 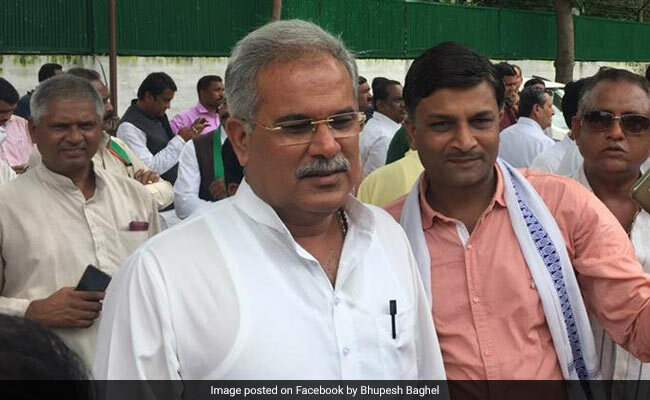 With the Congress set to wrest power from the BJP in Chhattisgarh after 15 years, the party's state unit chief Bhupesh Baghel today said people have given a befitting reply to the ruling party, which indulged in corruption during its 15 year of rule. He credited a strong party organisation for Congress' lead in Chhattisgarh and said he was not expecting such a big margin of victory. "Congress had been standing with each and every section of the state. Therefore, it has received their immense support in the election," Mr Baghel told news agency PTI. "BJP has only cheated the people of the state during its three-term rule. It was neck-deep in corruption and 'commissionkhori'. People have given them a befitting reply," he added. The Congress was leading in 64 seats in Chhattisgarh, well above the magic figure of 46, while the ruling BJP was a distant second at 18 in the 90-member assembly, according to the Election Commission website. "The result is the outcome of unity of my party leaders and efforts of booth level workers...The party is heading to a historic victory and credit for it goes to AICC president Rahul Gandhi," he added. Mr Gandhi addressed around 19 public meetings as part of the poll campaign. According to him, the Congress raised issues related to farmers, labourers, tribals, students, women and youth. "It fought for the rights of every section of the society," he said.